India’s portal dealing with wills. What is a last will in India? A will in India is a legal document that states what will happen to your property once you pass away. Thinking about drafting a will is not the most enjoyable subject. However, it is a crucial one. 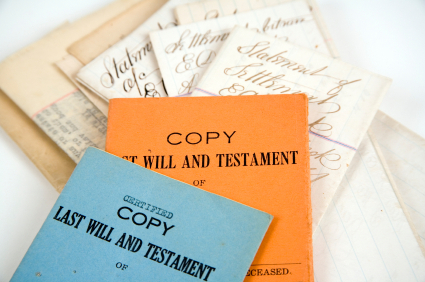 Without a will, there can be serious legal and administrative problems in dealing with your estate when you pass away – not to mention that a will can ensure that your assets are amicably distributed in the way in which you desire.If you want to provide your best for your loved ones after you pass away, a will is a most necessary document. What are the requirements of a will in India? Generally, an Indian will should contain the following: identification information (full names and addresses) of yourself, two witnesses, the executor, and all beneficiaries. As well it should contain information about paying off any debts and taxes and identifying all of your assets. The will should set out who the beneficiaries are, and what they are entitled to. In addition, the will should explain how any outstanding debts will be paid. If you have minor children, your will should appoint a Guardian to look after them. The will must be signed and dated. The will can be in any language, and need not use formal legal terms. It is also a good idea to register your will to prevent fraud or tampering. When should an Indian will be created or updated? You should update your will whenever circumstances change. This normally includes important family changes such as the birth or death of a family member. By updating your will in India, you are ensuring that your will truly reflects what you want, and will not harm the important people in your life. Does a will need to be printed on stamp paper? No. There is no need to pay stamp duty on a will.